Videomaker since 1996. Leaurate of Unesco Aschberg Bursaries for Artists Prize. He completed a Master in Fine Arts in Film and Video Studies at the Rijksakamie Van Beeldende Kunsten, in Amsterdam, where he made several experimental films, including 2001’s Juxtaposition, which was nominated for the International Media Prize ZKM in 2002. He has a Master on 3D modeling and animation studies at SAE College. His video installations works has been shown and commissioned in many International Media Art galleries and Museums worldwide. He is Artistic director at iSouraLab Amsterdam. 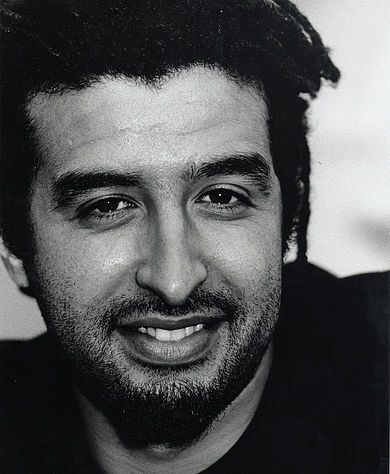 He is also a producer executive and co-Director at Arab Media lab project and Digital Marrakech Festival. ce the participants understand how a photo image can tell a story, they will be able to use different techniques to juxtapose images to help tell their own stories. The workshop will focus on Tilt Shift technique. How to use this technique to create a miniature faking or diorama effect.